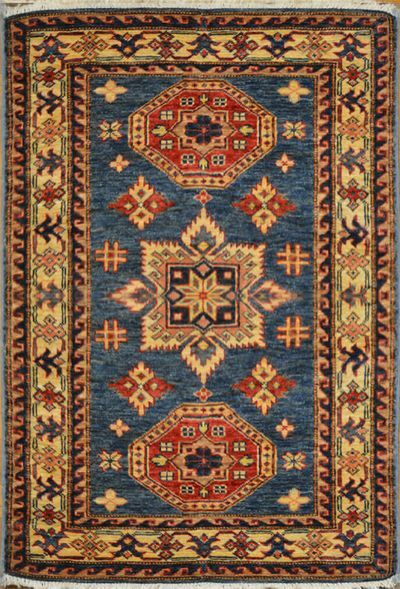 Kazakh Wool Rug: 4' x 2'8"
Hand-knotted in Afghanistan, this brand new tribal rug features the striking geometry and unexpected patterns distinctive to weavers from the central Asian region. 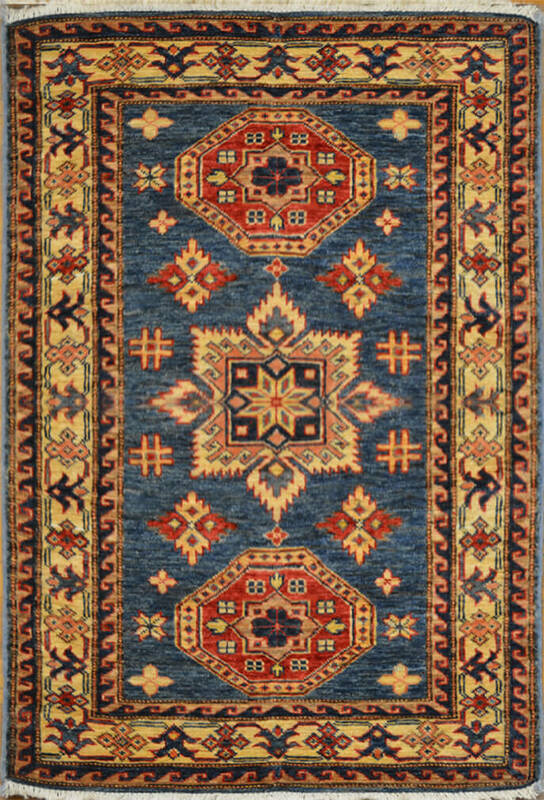 A variety of regional influences converge in the vibrant fiery hues and ornate geometric motifs covering this one-of-a-kind piece. 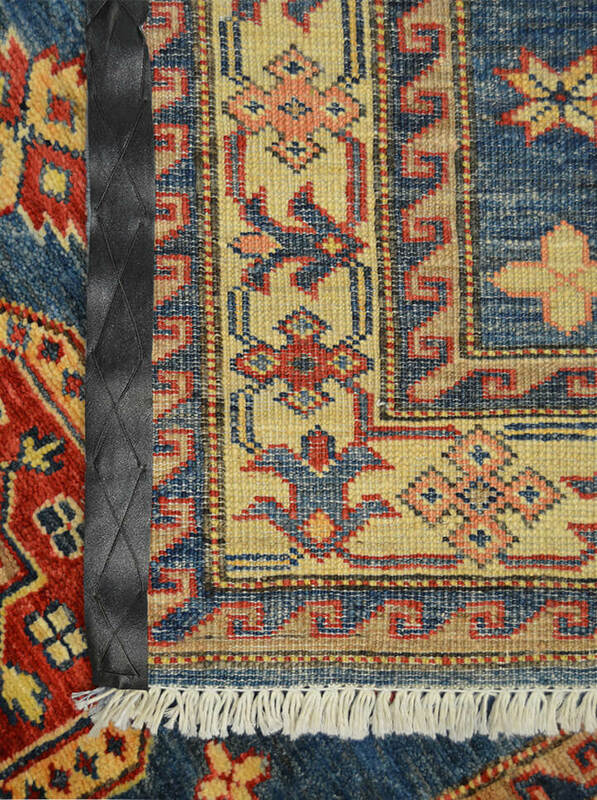 This exceptionally fine wool rug has a charming m閘ange of styles and symbols that make it truly unique statement. 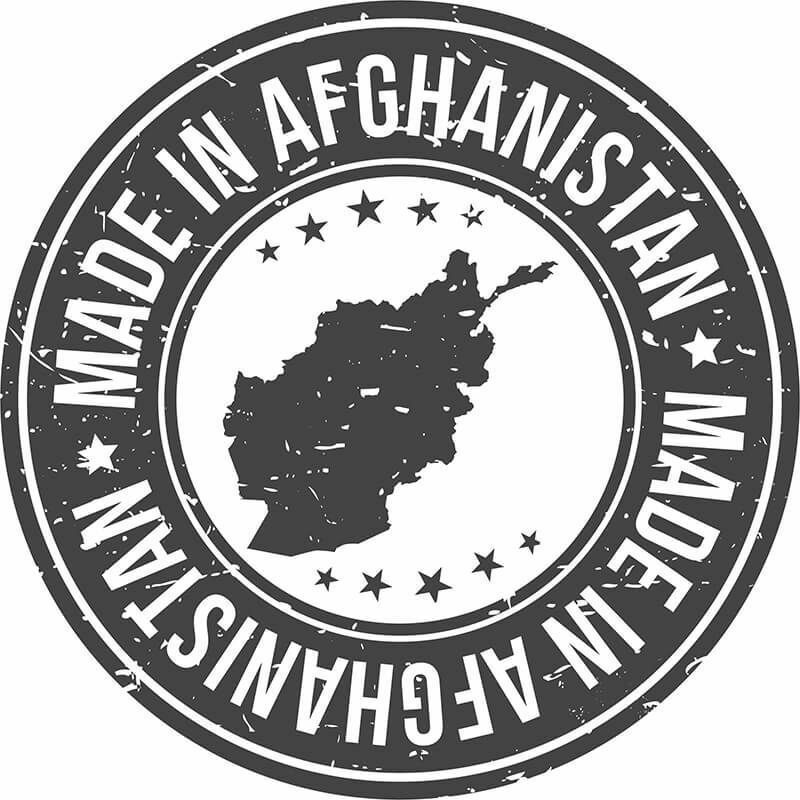 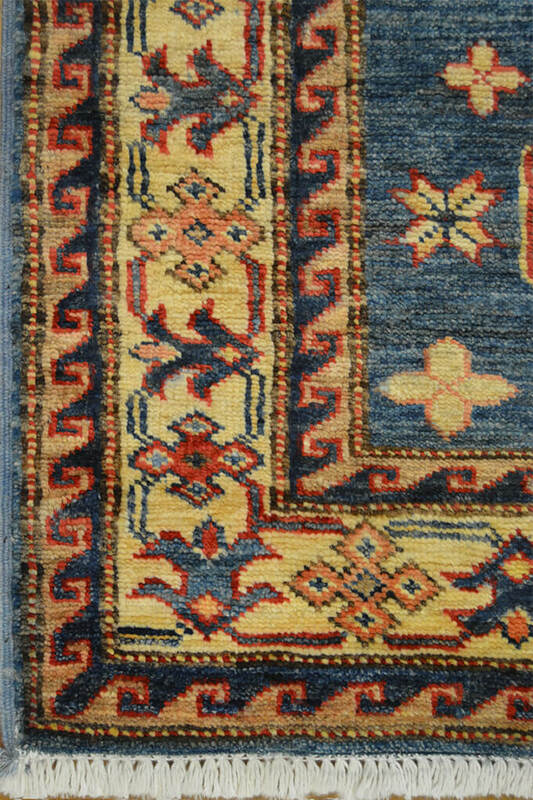 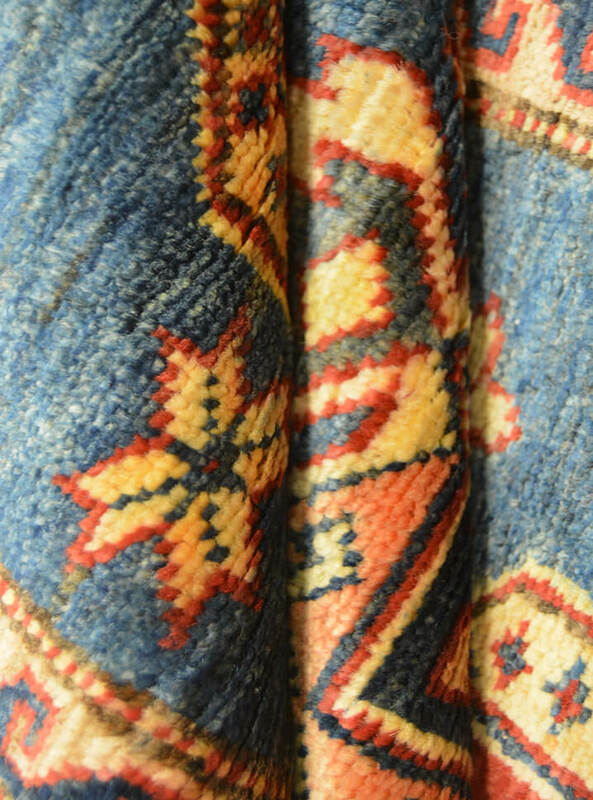 It features a blue field which is rarely found in Kazakh rugs produced nowadays.